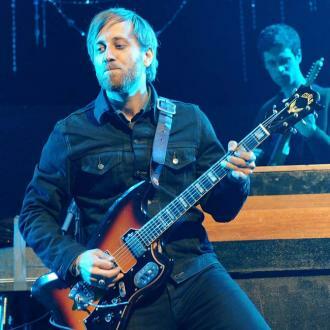 Rockers The Black Keys Are Gearing Up To Resume Their Tour Commitments, Five Months After Drummer Patrick Carney's Broken Shoulder Forced The Band To Scrap A String Of Live Dates. The musician was hurt during a freak swimming accident while on a New Year (Jan15) vacation in St. Barths and the injury left him unable to play the drums. His ailment prompted the group to axe its European tour in February (15) and dates in Australasia and Japan in April (15) to allow Carney time to recover, but he is now ready to get back behind his kit and get back out on the road. 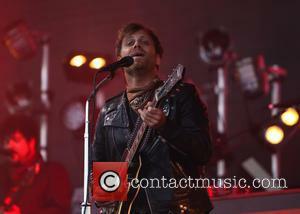 Bandmate Dan Auerbach tells NME.com, "We have a bunch of gigs set for the rest of the year. "(Carney) says he feels good. He's been doing his rehab this whole time. It's like a full-time job trying to recuperate from that (injury)." Asked if the upcoming gigs will be more stripped back as a result of Carney's injury, the singer replies, "No, if that was ever the case we wouldn't play the show." Auerbach admits he wasn't upset at cancelling part of their world tour as he was able to make the most of his unexpected time off: "I wasn't p**sed off at all (about the break). I mean, I felt bad that we had to cancel for our fans but at the same time, having a break for me personally was great. It was really nice to spend a lot of time hanging out at home. It was really good!" The Black Keys are next scheduled to perform at the Primavera Sound festival in Barcelona, Spain on 28 May (15), while their other upcoming dates include sets at the Rockwave Festival in Greece, Governors Ball in New York and the Isle of Wight Festival in England.